Are you planning to start a new business? Or is your business planning to launch a new product or service? If the answer to either of these questions is “yes,” then filing an application now to register your brand name with the U.S. Patent and Trademark Office may be the most important step you can take to gain a competitive advantage for your new business or product. The reason stems from the critical concept of constructive use. Trademark law provides that the first person or business to use a brand name anywhere in the United States enjoys “priority” and will prevail against a subsequent user in a dispute over who is entitled to register the brand. In general, there are two ways to acquire priority: actual use (that is, selling or distributing the product or service in the marketplace under the brand name), or constructive use under Section 7(c) of the federal trademark statute, 15 U.S.C. §1057(c). Section 7(c) provides that the filing of a federal trademark application “shall constitute constructive use of the mark, conferring a right of priority, nationwide in effect, on or in connection with the goods or services specified in the registration. . . .” Of these two methods, filing a trademark application is typically easier, less costly, and more expedient. The upshot of Section 7(c) is that the early filing of a trademark application can provide you with a valuable competitive advantage – namely, superior rights over another person or business who actually launched its product or service in the marketplace before you did. An example of this phenomenon occurred recently in the case of Cheerleader Pub and Grill, Inc. v. Private Label, LLC, Opposition No. 91216816, 2018 WL 2129882 (TTAB May 7, 2018). On July 22, 2013, Private Label filed an application to register the mark CHEERLEADERS BAR AND GRILL for restaurant services and clothing items. After the application was approved for publication, Cheerleader Pub and Grill, Inc. (“Cheerleader”) filed an opposition, which is an administrative proceeding in the USPTO challenging the applicant’s right to register the mark. As grounds for the opposition, Cheerleader asserted that it owned superior rights in the mark CHEERLEADER PUB AND GRILL, also for restaurant services. Given that the competing marks (namely, CHEERLEADERS BAR AND GRILL and CHEERLEADER PUB AND GRILL) were highly similar and the respective services were identical, the key issue to be decided was priority – in other words, who was the first user. Thus, based on the record before us, [Cheerleader] did not prove that it is the owner of proprietary rights in CHEERLEADER PUB AND GRILL prior to the filing date of [Private Label’s] application. Inasmuch as [Cheerleader] has not established its priority, [Cheerleader] cannot prevail on its claim of likelihood of confusion and its claim under Section 2(d) is dismissed. See 2018 WL 2129882 at *14. The result is that, even though Cheerleader was the first party to use its mark in the marketplace, Private Label nevertheless enjoyed priority over Cheerleader, thanks to Private Label’s early filing of a federal trademark application. The takeaway of this case for business owners is clear: File your trademark application as soon as you have settled on your brand name, even if you have not yet actually delivered any products or services under the brand. Filing the application protects you from losing a priority contest against another person or business who achieves actual use of a similar brand name in the marketplace after your filing date. And if this actual user is located in another part of the country, you may not even be aware of its usage of a similar name. Moreover, you can file your application even if you are several years away from launching your new product or service. The federal system allows businesses to reserve their trademark for at least three years in advance of their product launch. And, due to the typical delays in the federal system, a business can often times enjoy about a four-year reservation period. In today’s fast-paced economy, this early priority date may prove to be a significant competitive advantage to you – just as it was for Private Label, LLC. 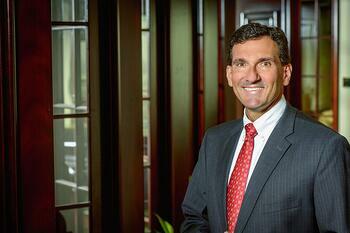 Todd Owers, Of Counsel in the firm's New Orleans office.